Oh, what can I say about these two. Sieara (the mom with the cool colored hair), happens to be my best friend, so I may be a little biased here. And Eisley, the bright-eyed baby, is my Goddaughter. I can't help but feel emotional over this session. 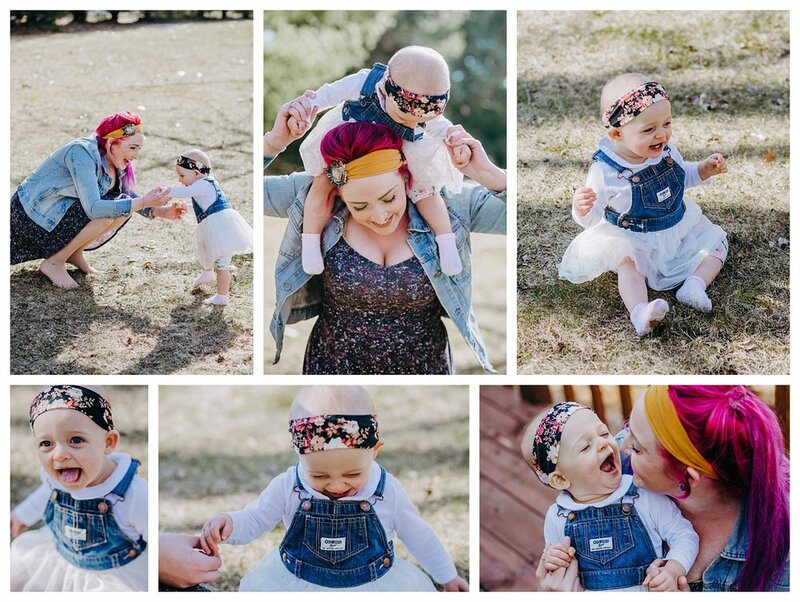 These photos were taken in Sieara's yard, after Miss Eisley required lots of food and naps. She's the smiliest baby, and you won't be able to tell from these photos, but she is not happy when Aunt B gets her camera out. In fact, these photos required much more effort than meets the eye. Little babes wanted to give me all the faces in the world besides a smile, haha. But what can I say. I just love her.